A legendary cartoonist who coined the nickname ‘The Big Yin’ for comedian Billy Connolly has died at the age of 76. Marilynn Smith had no intention of ever playing golf, let alone setting up one of its largest tournaments. Known to contemporary audiences as Leonard in the US sitcom Community, Richard Erdman had more than seven decades of acting experience under his belt. While few people might have recognised Hal Blaine by name, they certainly would have noticed his signature drumbeats. There were few seats left in St Machar Cathedral as scores paid their respects to the ninth Baron of Grandhome yesterday. A former Highland League football star has died. 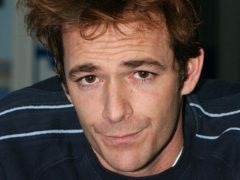 Luke Perry’s portrayal of rebellious heartthrob Dylan McKay in Beverly Hills, 90210 captured a nation of hearts in both his native America and across the Atlantic. 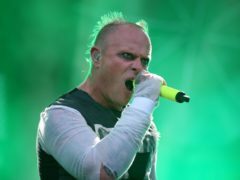 As the lead singer of The Prodigy, Keith Flint carried the sound of British rave music from an insular community of party-goers to an international audience – selling 30 million records worldwide in the process. The musician who created a song widely regarded as among the greatest rock anthems ever recorded has died at 64. Andre Previn, who has died aged 89, was one of the most versatile and distinguished musicians of his generation. A north-east town has been left saddened by the death of a community stalwart. The founder of Dyce Rugby Club, Angus McVey, has died aged 76. A highly esteemed and “legendary” Western Isles priest has died. The founder of a popular family butcher in Aberdeen who ran his shop for almost three decades has died, aged 75. An Aberdeenshire woman who was made an honorary citizen of Texas by President George W. Bush has died, aged 85. The man behind the television successes of Keith Floyd and Rick Stein has died aged 73. His works have been a staple of children’s shelves for decades, entertaining and delighting youngsters across the world since 1963. While many people may not be familiar with the name William Morgan Sheppard, they almost certainly will be aware of his work. The frontman of Marmalade, the first Scottish band to have a UK number one hit, has died aged 72. A political campaigner who once played tennis with Fred Perry during a rich and varied life has died at the age of 102. Few people have had more strings to their bow than Jean-Pierre Van Rossem – a prominent politician, stock market guru, convicted fraudster and one-time F1 franchise owner. The Camanachd Association has paid tribute to one of its most distinguished former Presidents. The Press and Journal’s long-time Parliamentary Lobby Correspondent David Perry has died after a very short illness. Selma Wynberg Engel, one of the few to survive an uprising against the Nazis, died last week at the age of 96. A north-east woman who saved a village bank during years championing her community as a councillor has died aged 72. A pioneering marine biologist whose work gained prominence in an award-winning documentary has died aged 56. Babs Beverley, one third of the famous Beverley Sisters, has died aged 91. He survived the brutal Arctic convoys, was Firemaster of the Highlands and Islands Fire Brigade for nine years and introduced Highland games to Moscow. The chief executive of a national pets charity has died following a short illness. A celebrated Aberdeen minister who devoted more than six decades of his life to the church and was a champion of the scouting movement has died. An “inspirational” Norwegian professor and author has been fondly remembered by the scores of students he taught in Aberdeen following his death at the age of 81.